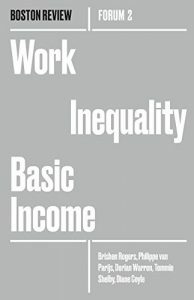 I contributed to a Boston Review Forum on Work, Inequality and Basic Income, and the whole volume arrived today. There are some very interesting essays, including the lead one by Brishen Rogers, ‘Basic income in a Just Society’. Rogers argues that Basic Income is not enough – he’s in favour but says much more of a policy response will be needed in our automated future. Some of the other contributors, such as Philippe van Parijs, are even keener advocates of the proposal, while Juliana Bidadanure argues for a trans-national version. The range of perspectives from a group of authors who are broadly in favour of Basic Income is fascinating in fact. There is a lot here that’s new to me, including for instance an account (by David Stein) of Coretta Scott King’s campaigning for a job guarantee. I’m a basic income sceptic, probably the outlier in this volume, although happy to see various experiments that will provide evidence, even if it proves me wrong. I think spending money on high quality public services for all is a far more important priority – more important for civic cohesion and individual agency, more likely to be acceptable to a lot of voters, and more likely to enable economic growth. My essay in this volume is about Basic Income being a solution to a problem we don’t have (mass unemployment). Maybe this will happen; again, I’ll be willing to change my mind in that case. For now, my prediction is what’s ahead will be like other waves of automation, and although the policy response then was wholly inadequate, the idea of a robot apocalypse requiring the state to make pensioners of us all is over the top. The best time to set your net is before you fall. Thus, I think it’s not too soon to talk about UBI. 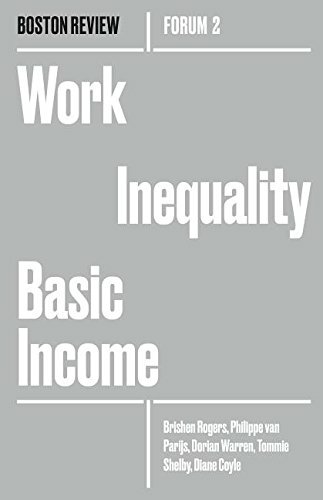 Further, a UBI can have positive impacts now if (1) you think it will free people from “wage slavery” to work in socially useful, but (even more) poorly paid fields such as community organization or elder care, and (2) if you think that funding UBI via property (=wealth) taxes as a useful way of reducing inequality. NB: I haven’t seen the book and have no idea how/if those topics are discussed!